This year is the 31st year, and congrats to Nick Foles from the Philadelphia Eagles on being the Super Bowl MVP! 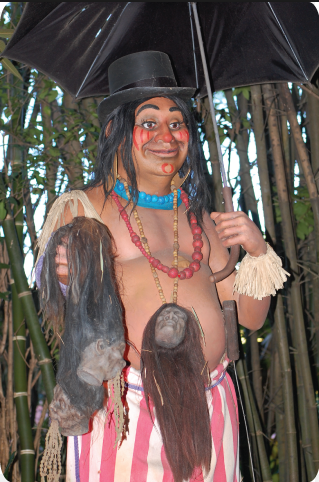 Trader Sam is the “Head Salesman” located at the end of the Jungle Cruise. When they say Head Salesman, they’re not meaning one who is in charge of other salesmen and women… they literally mean the one who sells heads (of the shrunken variety). The Jungle Cruise one of the original rides at both Disneyland and Disney World. 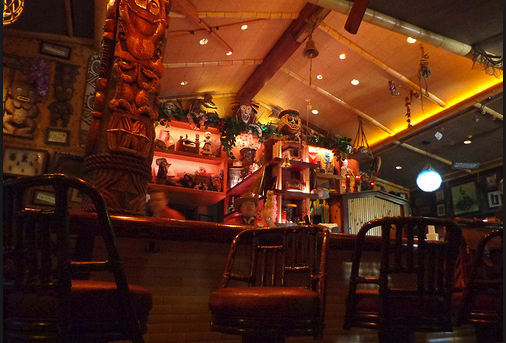 Depending on which Disney park you most often frequent Trader Sam may look a little different. Below are photos of the two different Trader Sams. Why would I bring up who Trader Sam is? I bring it up because of the recent opening of “Trader Sam’s Grog Grotto” at the Polynesian Village resort. This bar (which also serves appetizers) is based off of the storyline of Trader Sam from the Jungle Cruise. With the opening of the Grog Grotto, you can now visit Trader Sam’s both at Disneyland (Trader Sam’s Enchanted Tiki Bar at the Disneyland Hotel) and at Walt Disney World. In 2012 when I was at Disneyland we visited Trader Sam’s Enchanted Tiki Bar for beverages and a snack and we fell in LOVE with it! 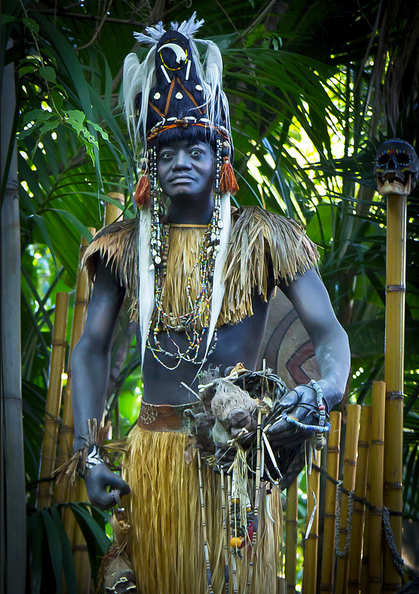 I was very excited to find out that WDW was adding their own version of Trader Sams, and I can hardly wait to visit! If it’s anything like the one at Disneyland, I know it will be incredible! The theming is outstanding, and I love it when they use a tie in from the parks into their resorts! 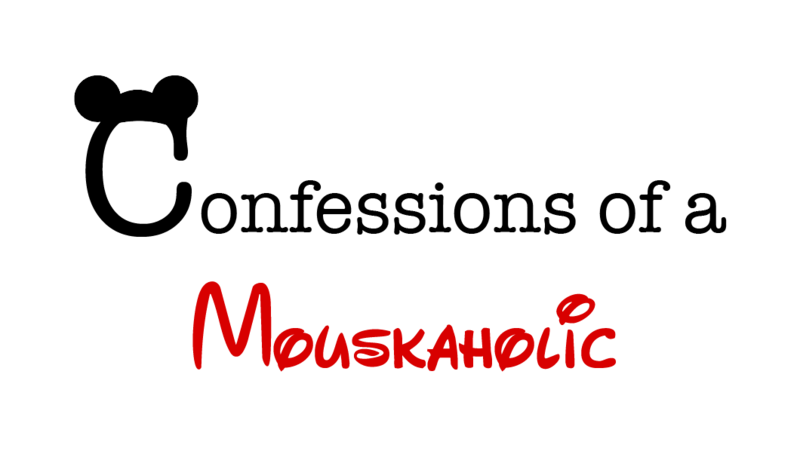 If you want to stay up to date on all of Confessions of a Mouskaholic’s Fun Fact Friday posts be sure to like the page of Facebook! If you’re interested in planning your own magical Disney vacation and would like to take the worry and stress out of planning, contact Ashley@charmingtravelsllc.com for your free quote!